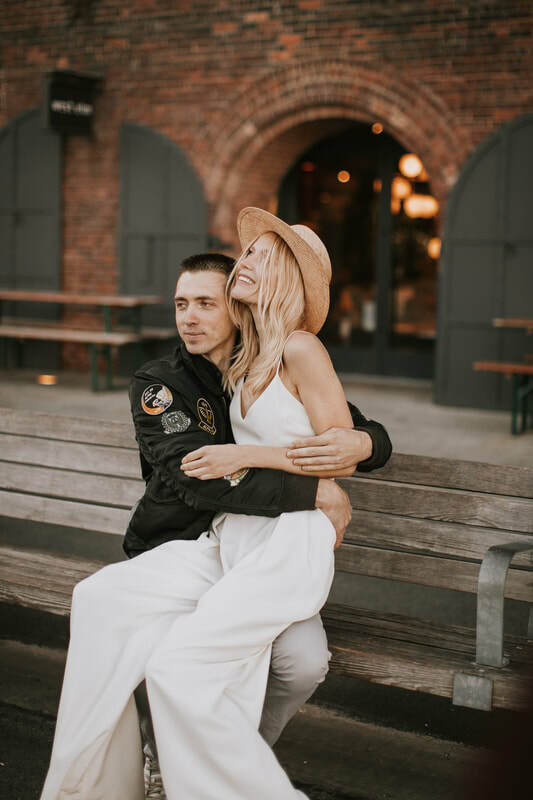 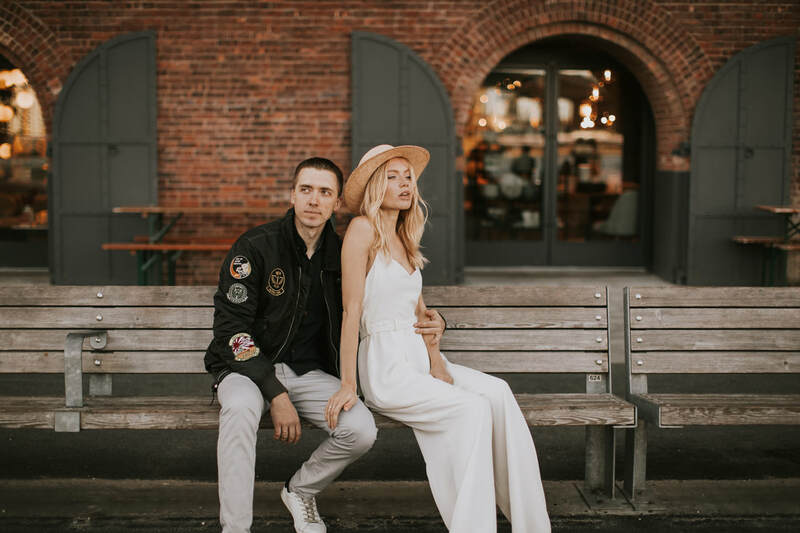 I visited New York City where I photographed these two beautiful souls - Valentina + Alex. 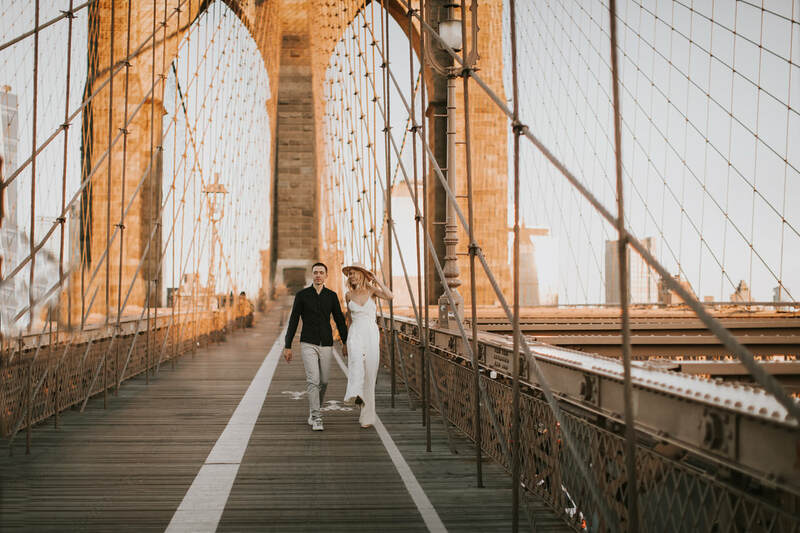 We woke up early for sunrise on the Brooklyn bridge, and then made our way down to Brooklyn for some urban shots. 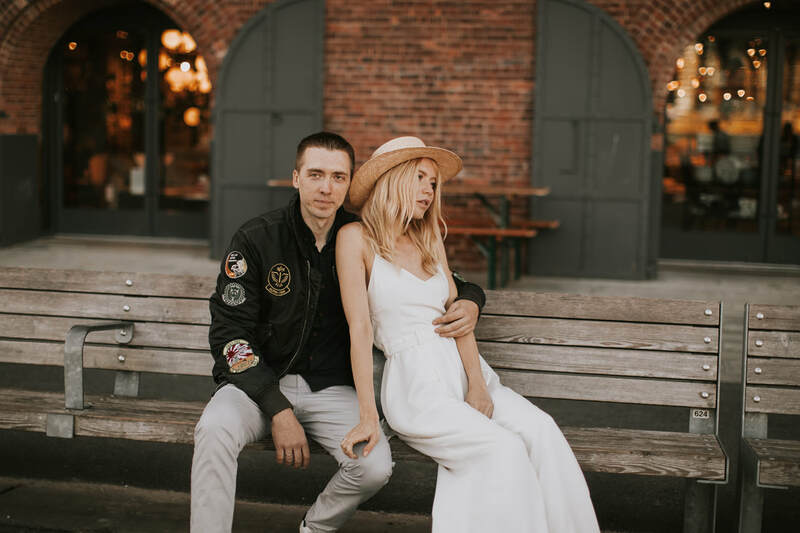 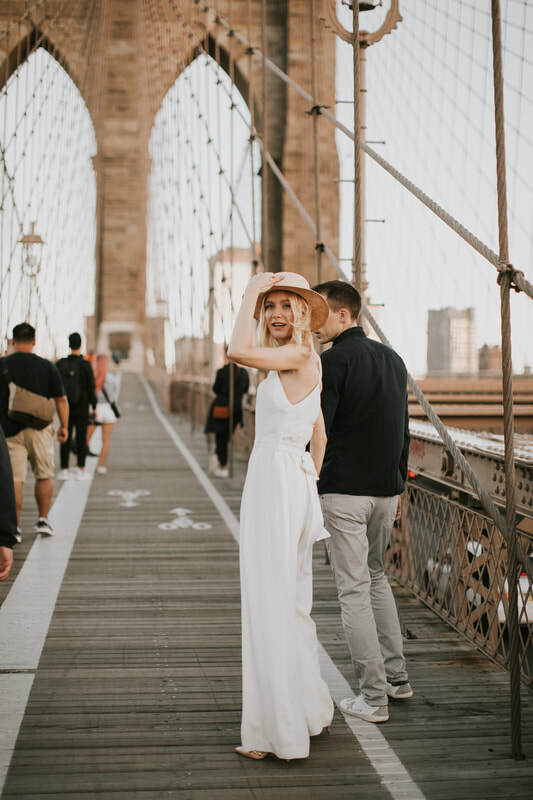 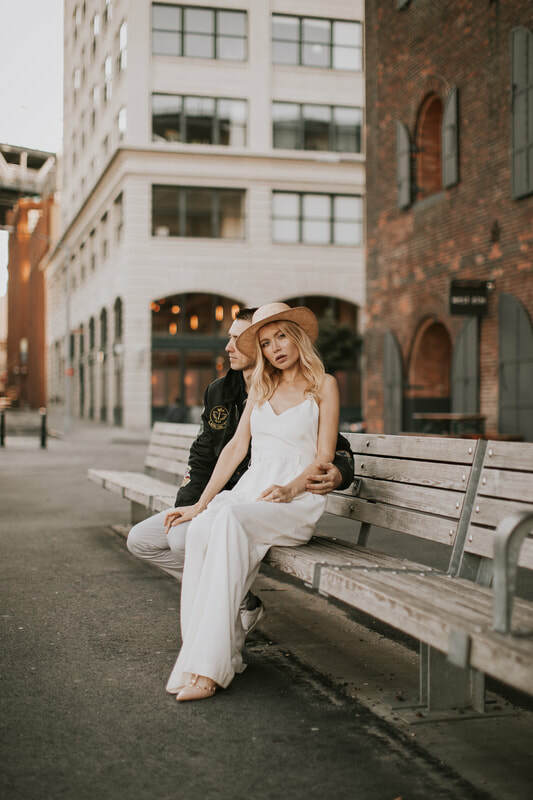 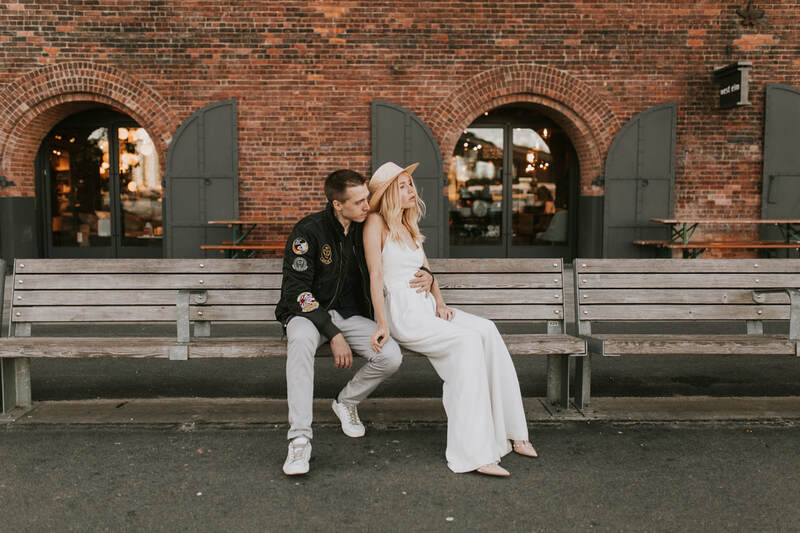 Valentina is a model in NYC and is wearing a bridal romper from Schone Bride, something to consider if you are a non traditional bride looking for something a little different!